Destiny Year 2 is nearly upon us. On Tuesday, September 8th, Bungie will be releasing update 2.0 across all systems, allowing players to adapt to the many changes a week prior to the launch of Destiny: The Taken King. Even if players do not purchase the upcoming expansion, they will still benefit from an updated leveling and loot system, along with revamped bounties and the introduction of a new quest tracking system. As the final days of Year 1 draw to a close, some new information has been revealed about the 2.0 update and Taken King expansion. From new multiplayer modes to an all-new class of weapon, the update continues to grow ever more substantial. While the Crucible offers a nice change of pace in Destiny, along with a unique set of challenges, the different modes all feel largely the same. Whether you're playing Control or Clash, the main objective is simply to kill the opposing team as many times as possible. Game Informer revealed that this will be changing somewhat with the addition of two new multiplayer modes: Mayhem and Rift. Mayhem promises to live up to its name, essentially speeding up a player's grenade, melee and super recharge to the point where they're almost always ready. The developer says it plays more like a "party game," which sounds like a welcome change of pace. More interesting is Rift, a new spin on Neutral Bomb Assault from Bungie's previous series Halo. It's a 6v6 mode where players must carry an object called the Spark into their opponent's base. The catch is, if it isn't planted within 75 seconds, it will kill the holder instead. Killing the player holding the spark will also grant players points, making offense and defense equally appealing. Alongside the patch, Bungie will offer a preview of the new and improved Crucible. Players will have the opportunity to try out every new map and mode, regardless of whether or not they’ve already pre-ordered The Taken King. The preview runs from September 8th to September 15th, when the expansion will officially launch and lock players out of the new content. It's worth noting that while the gameplay will be largely the same in the preview, it will not include early access to the new super abilities. However, it will be a good opportunity to test out the rebalanced Year 1 weapons before they are ultimately replaced by the more powerful weapons in the upcoming expansion. Bungie recently revealed yet another new addition to the Crucible – the Mercy Rule. While Crucible announcer Lord Shaxx often reminds players that “The Crucible is no place for mercy,” it appears that the developer no longer agrees. Their statistics indicate that about 60 percent of matches are healthy and competitive, with an acceptable score differential. However, there is a small percentage of games where the score differential is over 10,000 points. 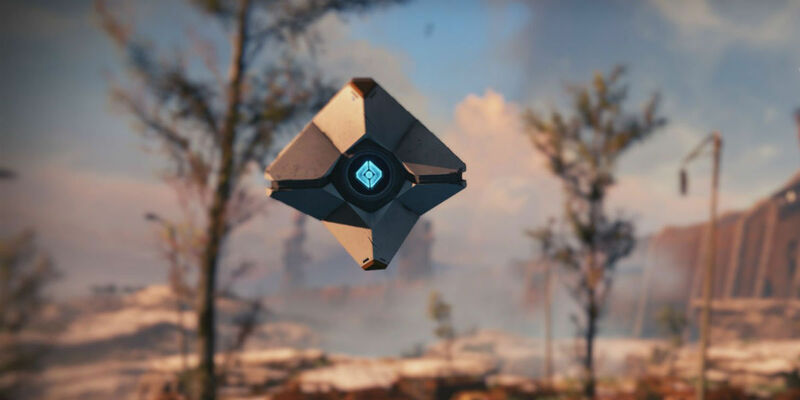 Destiny senior designer Andrew Weldon admits that some of these are legitimate blowouts, but others are indicators of bad match-making. The Taken King offers plenty of content to reinvigorate the player base, and for the most part it will all be available on day one. However, the big exception to that is the new raid King’s Fall, which was delayed for reasons unknown. It came as a disappointment to high-level players seeking new challenges who were left wondering how long it could be delayed. Thankfully, the wait is much shorter than anticipated. Bungie has since announced that the raid will be released on September 18th at 1:00 p.m. EST, a mere three days after the launch of The Taken King. While players wait on the raid, they'll be able to explore the new strike and story content, as well as the new public events in the Court of Oryx. You read that right. Destiny: The Taken King will introduce a slew of new weapons to the game, including swords. The new exotic weapon Raze-Lighter is featured in the above video and is one of an unknown number of swords to be included in the expansion. The sword will sit in the player’s heavy weapon slot and require ammo to swing. These are the first equipable melee weapons in Destiny (though players have had the opportunity to wield swords temporarily in the past) and it will be interesting to see how the weapon affects PvP. The video reveals that the new weapon will boost a Guardian’s armor, but whether that will be enough to allow players to get in close remains to be seen. Bungie wants to make Destiny Year 2 feel like a whole new game and with the numerous changes coming, it seems likely the developer might just pull it off. The game is being completely restructured from the ground up, going so far as to replace the maligned voice work of Game of Thrones actor Peter Dinklage entirely. Hopefully this is a sign that Bungie learned from their missteps in Year 1 and will continue to improve Destiny in the months to come. Destiny: The Taken King launches on September 15th, 2015.